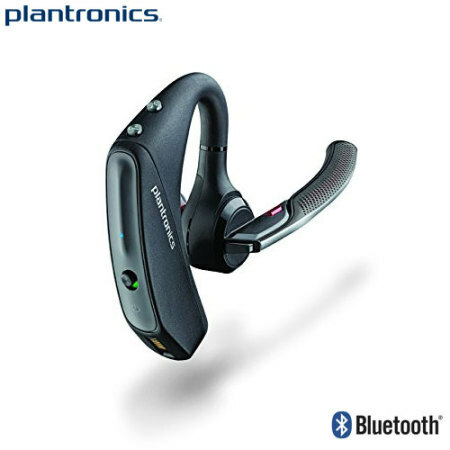 Perfect for the professional on the move, the Plantronics Voyager 5200 Bluetooth Headset is crammed full of features to enhance your productivity - voice alerts, quick pairing and much, much more. I've had problems recently with my (2) different Bluetooth headphone devices- dropouts at important moment and connectivity issues. I wanted something that provided robust, consistent connectivity and was easy to use and the Voyager does both of these. Initially, there was a little discomfort with the earpiece, but either my ear or Voyager seems to have adjust so that is no longer a problem. Battery time is adequate without being spectacular. Whatever your job may be, while you're working hard and getting things done you need a reliable and feature-rich way to keep in touch with colleagues and clients. 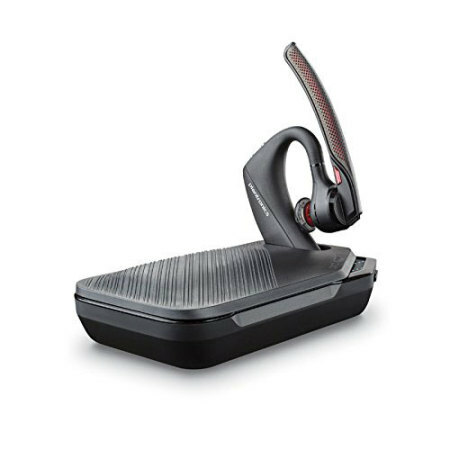 Introducing the Plantronics Voyager 5200, the latest in a long line of successful and acclaimed Plantronics Bluetooth devices. 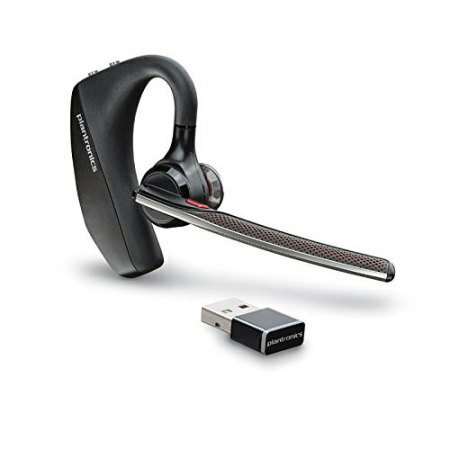 Packed to the brim with functions and features and sporting a sleek, elegant design to match, this headset is the ideal choice for those wishing to take their business interactions to the next level. Absolute call clarity is vital when you're in the middle of a crucial conversation. That's why Plantronics has built WindSmart technology into the Voyager 5200 UC. Four adaptive microphones work in tandem with this innovative system to ensure that background noise is kept to an absolute minimum, so you can speak confidently and clearly - safe in the knowledge your headset is delivering every single word. No time to check your phone? No problem. 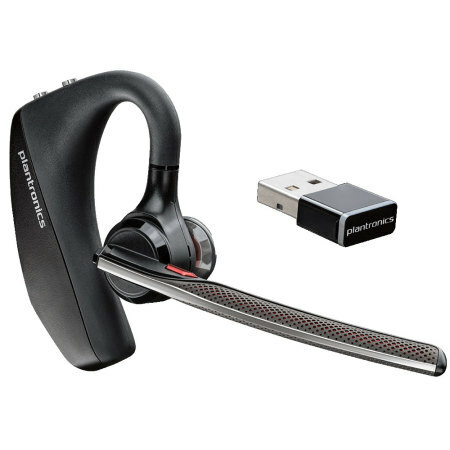 One touch of the Plantronics Voyager 5200 UC Bluetooth headset allows access to Siri, Google Now or Cortana, allowing you to do anything from making or receiving calls to taking voice memos without even touching your device. Stay informed on just who's talking and receive updates on important aspects of your business life with the Voyager 5200 UC's integrated voice alert system. Even better, you can respond with "Answer" or "Ignore" to immediately accept or reject the call. Take absolute control of your work life. Need to make sure your conversation partner doesn't hear you speak? The Voyager 5200 UC features a dedicated mute button which will immediately mute the advanced microphone on the headset, and even warns you if you begin talking while the mute function is activated. Not only that, but a visual mute indicator means you'll never be caught unawares. The Voyager 5200 UC is prepared to work for as long as you do, all day, every day. A design which emphasises comfort and ergonomic efficiency complements a modern, powerful design to ensure you won't even notice the presence of this headset in your ear - perfect for extended usage. Work as long as you need to and let this headset be your companion.